Hello! This theme is wonderful, the colors are fresh and vibrant and I have seen some really gorgeous kits in the Pixel Scrapper Blogtrain thread this month! I had to stop working on this, even though I wanted to go on forever, but my little man’s birthday is coming up very soon and I had to test drive his tractor cake (vrrrooooom, it turned out great, yay!). I may just steal these colors for another kit or carry on making stuff when the birthday bash is over. As you (may) know, I upload the blogtrain parts to Pixel Scrapper too, so if you are a subscriber, why not download [HERE]? That way, the site remembers you’ve already downloaded this and… this stuff will get linked to the templates one day! Thanks so much for a very sweet kit. You do really nice work. Thank you, your part is so adorable! This is GREAT!!! 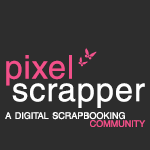 Thanks for your part of the Pixel Scrapper Blog Train! Thank you for your wonderful kit! I always appreciate CU materials. Thanks for this fabulous freebie ! This is just lovely – thank you! Adorable – thank you so much! Thanks so much for your cute contribution. thanks a bunch ablooms – a whole bouquet of blooms! Thanks much – and I don’t mind your rants, lol! Great take on the Hello theme. Thanks for sharing. Love the telephone “hello” connections. Many thanks for this delightful kit. Muito obrigado. Seu kit é muito bacana. Gosto da florzinha de crochê. Faço Scrapbook híbrido, como se fala aqui no Brasil, e gosto de crochetar. Darling kit! 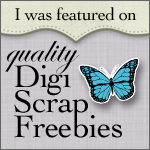 Thank you for this kit and all that you do for us on Pixel Scrapper. You are greatly appreciated.